Keep Your Number Plates On! 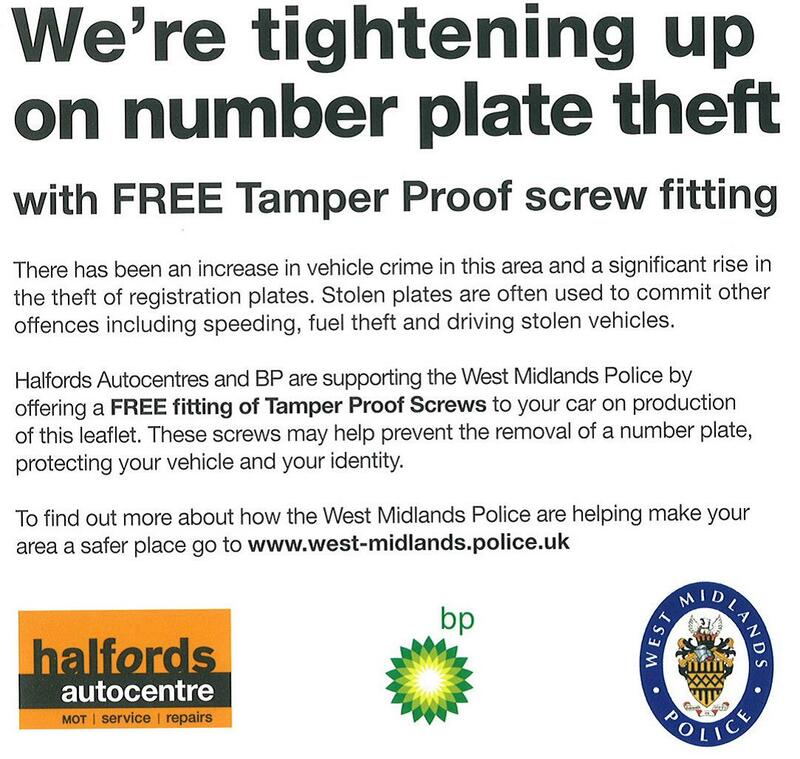 West Midlands Police are being proactive in trying to reduce vehicle crime and the use of stolen number plates in crimes. 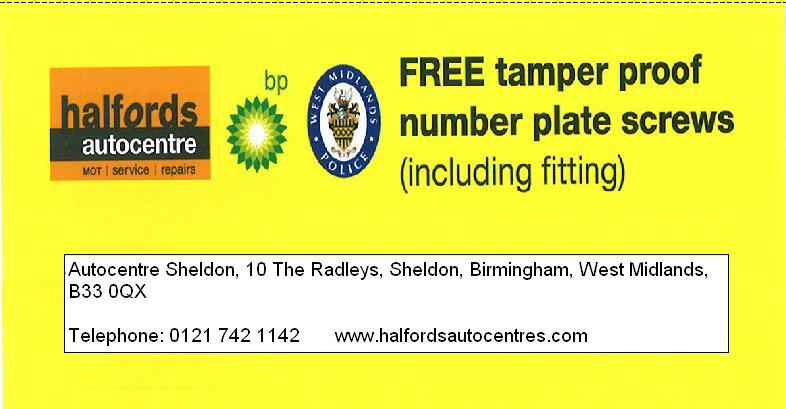 If you print the voucher out below and take it to the Halfords Autocentre in the Radleys, Sheldon, you can play your part in helping to reduce crime in our area by getting your number plates secured on your vehicle, and your identity protected, free of charge. This entry was posted in Events and tagged Acocks Green, Autocentre, crime reduction, Halfords, number plates, stolen plates, Tamper Proof Screws, vehicle crime, West Midlands Police. Bookmark the permalink.